Do we pay the highest rates in Australia? 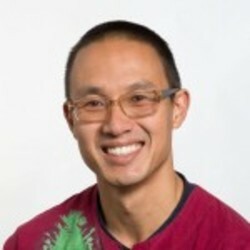 Tom Chen and Kim Huynh do a fact check on residential rates in the ACT. With the Liberal Party claiming that our rates are skyrocketing, excessive and unfair, you would be excused for thinking that we pay the highest rates in the country or soon will. In fact, this view has been expressed to us on the campaign trail and in response to our RiotACT assessment of light rail. We decided to find out if it’s true. There are jurisdictions in Australia that charge residents significantly more than the ACT. The rate of increase in the past few years and as projected over the next few years is high, but not as dramatic as the Liberal Party would like us to be believe. When you look at all the state and council level taxes together, Canberra residents pay per capita less than the national average. How do our rates stack up? Unfortunately, there’s no central information source for Australian council rates and the degree of transparency varies significantly among councils. Earlier this year The New Daily identified the 10 highest rate charging councils in Australia. The Gold Coast City Council topped the list with the City of Hobart closely behind. Their investigation apparently missed or excluded the ACT. And there were few details on how they came up with their figures. So we developed our own approach and applied it to ACT rates for 2016/17. Our analysis shows that residents in the Gold Coast and Hobart pay significantly higher residential rates than we in the ACT. Yass property owners also pay higher rates, something buyers interested in the Ginninderry development, which straddles West Belconnen and Yass, should keep in mind when selecting their block. But aren’t our rates skyrocketing? At the previous ACT election, critics of the government argued that its proposed taxes would increase our rates dramatically. The chart below shows the rates payable for a property with an assessed land value of $350,000 (see GoKimbo for full details of our methodology). From 2012/13 to 2016/17 the annual rate charge for this property increased from $1,548 to $2,001. This represents an average annual increase of 6.6% pa, which is much higher than inflation and average wages growth, but not astronomical. Of course rates paid by individual property owners will also be determined by changes in land value. But these increases aren’t directly determined by the ACT government. What is determined by the government is that the ACT is one of the few Australian jurisdictions where rates are structured progressively. This means that like income tax, higher value residential properties pay higher marginal rates. We support this approach because it gives less wealthy land owners a fair go. What about all the other fees and charges? A more complete measure of taxation needs to include not just rates, but also other charges including business rates, registration costs, usage fees, levies and duties. Moreover, because the ACT government operates as both a state and a local council it’s important take into account taxes such as payroll tax and stamp duty. ACT Treasury has done this analysis and provides the results in the Fiscal Strategy document released as part of this year’s budget. Using 2014/15 tax and population data from the ABS, the analysis shows that during 2014/15 we each paid approximately $3,500 in state and local council level payments. This is lower than the national average of $3,750. WA topped the list at over $4,100 per person. Tasmanians enjoy the lowest level of taxes at $2,700 per person, which shows the importance of looking at the whole picture given that Hobart Council placed second on The New Daily’s list of highest charging councils. There’s no doubt that rates rises can affect the cost of living, especially for people whose property value has increased much faster than their income. Retirees can be particularly at risk. It doesn’t help the economically vulnerable to know that others are paying more. However, alarmist claims about exploding rates only obfuscate the problem. It’s important to realise exactly why we’re feeling the pinch if we’re to have any hope of relieving the pain. How do you rate the ACT when it comes to rates and taxes? Will rates affect how you will vote in the upcoming election? Do you believe that rates would be substantially lower under a Liberal government? If we didn’t before, we do now. My quarterly rates has increased from $366 (2016-17) to $461 (2017-18): nearly 26%! Hi TP. I’d be interested in a proposal to put an absolute cap (have to do the sums before I commit to a number) on rates for any property. And as we mentioned, I’m concerned about the most vulnerable and would never advocate the ‘Just move out!’ argument. Im not a fan of an “absolute cap” on Annual Rates, if that’s what u mean. But a cap on the annual increases – yes. Certainly 10% avg pa forever is unacceptable. At least double + whats reasonable. (1) Centrelink beneficiaries (including aged pensioners & disabled) who are lucky enough to have their own place, get a 50% concession on Annual Rates. But, that is now “capped” to this years assessments so over the coming years, the gap will widen quite rapidly. The increases to their Centrelink payments will not come anywhere close to meeting that widening gap. So, what is to become of them ? Onto the waiting list for ACT Govt housing so burdening ACT Ratepayers even more ? . (2) Self funded retirees (who don’t get the concession as its not means tested for income) on a pension have no hope of keeping up with these Annual Rates increases, given the paltry indexed rises to pensions. Many self funded retirees have pensions around $40Kpa or less. What are they going to do when Annual Rates hit $5K or $6K+ pa ? Their forward financial projections for retirement wouldnt have anticipated rises in Annual Rates of that magnitude during the course of their natural life. Avg life expectancy now means that people can be in retirement for 20+ years ! (3) While some might argue that the new ACT Labor/Greens Annual Rates increases will enable them to enter the property market a bit faster, what will happen when they want to start a family and god forbid, go onto 1 wage for a few years ? How will they pay Annual Rates of $5K or $6K+ pa ? (4) Ditto for those entering the property market or “upgrading” by taking advantage of record low interest rates and reduced ACT conveyancing stamp duty. Good luck trying to hold onto those newly purchased properties when interest rate rise again and their Annual Rates hit $5K or $6K+ pa too. I might add, that I heard Chief Minister Barr say a while ago that conveyancing stamp duty would not be totally abolished. He said that it would drop to a minimum of about $10K. But Annual Rates will continue to rise to cover that “abolution”, no doubt. A lot going on here, which is excellent. We’re doing more work on this pursuant to your insights. Thanks HiddenDragon and apologies, I did mean a cap on annual increases. Deref: we’ve thought about means/income testing too, it’s a fair and important point. And ThePickle, flat tax options are on our radar as a means to providing added certainty to both the government and property owners. Lot’s to do. Thanks, K.
“What is determined by the government is that the ACT is one of the few Australian jurisdictions where rates are structured progressively. This means that like income tax, higher value residential properties pay higher marginal rates. There’s a hole in this big enough to drive a double-decker bus through. The assumption that the unimproved capital value (UCV) of land (the basis of rates charges) equates to the wealth of the owner is nothing short of ludicrous. Many older residents of inner suburbs are pensioners or low income people, yet the UCV of their land has sky rocketed as a direct result of government policies favouring developers over residents. That’s about as regressive and as far from a “fair go” as it gets. You want a “progressive” rates policy? Base it on income, not UCV. Hi – Couldn’t agree more!! If you want progressive it can’t be based on UCV. Hi Kim – Not sure if a cap is the answer but if there was one, I suggest it is something like 2 times the average (so around $4K at present and rises as the average rises). However my preferred solution, at a minimum, is to get rid of the progressive rates to a flat % rate like it use to be- this would more accurately reflect people’s ability to pay more as their property increases in value – your property goes up by 5% – you pay 5% extra rates – at the moment your property goes up in value by 5% and you might slip into the next tax bracket and pay 10% or more extra. I did kinda like someones proposal for the same rate for everybody-everyone gets the same services-so pay the same – what could be fairer than that!! The problem with using a progressive %rate and the UCV in the formula for rates is that that is not cash – you can’t use a bit of your increase land value to pay for your extra rates. In my view it is wrong to use land rates to try to equalise incomes – that’s what income tax and other taxes are for! You can’t do it fairly because you are not considering each person’s individual financial circumstances and some people are getting burnt. This is one of the reasons why our rates are so high. Note this media release was at about 4.30pm on a Friday before a long weekend. Hi TP. I’d be interested in a proposal to put an absolute cap [have to do the sums before I commit to a number] on rates for any property. And as we mentioned, I’m concerned about the most vulnerable and would never advocate the ‘Just move out!’ argument. Im not a fan of an “absolute cap” on Annual Rates, if that’s what u mean. But a cap on the annual increases – yes. Certainly 10% avg pa forever is unacceptable. At least double + whats reasonable. (1) Centrelink beneficiaries (including aged pensioners & disabled) who are lucky enough to have their own place, get a 50% concession on Annual Rates. But, that is now “capped” to this years assessments so over the coming years, the gap will widen quite rapidly. The increases to their Centrelink payments will not come anywhere close to meeting that widening gap. So, what is to become of them ? Onto the waiting list for ACT Govt housing so burdening ACT Ratepayers even more ? . (2) Self funded retirees (who don’t get the concession as its not means tested for income) on a pension have no hope of keeping up with these Annual Rates increases, given the paltry indexed rises to pensions. Many self funded retirees have pensions around $40Kpa or less. What are they going to do when Annual Rates hit $5K or $6K+ pa ? Their forward financial projections for retirement wouldnt have anticipated rises in Annual Rates of that magnitude during the course of their natural life. Avg life expectancy now means that people can be in retirement for 20+ years ! (3) While some might argue that the new ACT Labor/Greens Annual Rates increases will enable them to enter the property market a bit faster, what will happen when they want to start a family and god forbid, go onto 1 wage for a few years ? How will they pay Annual Rates of $5K or $6K+ pa ? (4) Ditto for those entering the property market or “upgrading” by taking advantage of record low interest rates and reduced ACT conveyancing stamp duty. Good luck trying to hold onto those newly purchased properties when interest rate rise again and their Annual Rates hit $5K or $6K+ pa too. And I’d be interested to know – sincerely so – why and to what extent rates might be lower under a Liberal government. Even though I don’t think the tram makes economic sense, surely the Liberals can’t keep dipping into the savings from it as if it was a magic pudding? 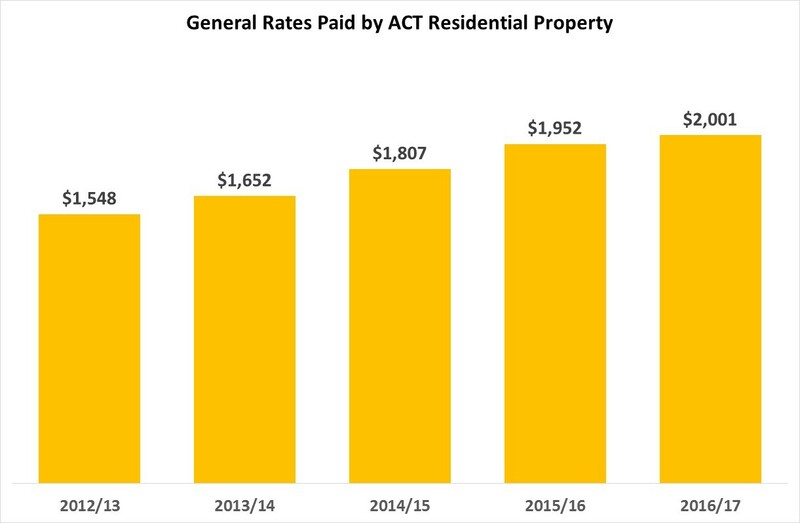 Public comments from the ACT Liberals indicate that they would revert to the former practice of increasing overall annual rates revenue by an indexation factor based on wages/CPI etc. – which would clearly mean lower (and cumulatively much lower over time) rates than the Barr Government’s policy of applying that indexation factor plus further significant increases to compensate for reduced stamp duty revenue. Given the state of the ACT Budget, and the pressures it will face in coming years, no one could plausibly suggest that there will be across-the-board rates reductions, and so far as I am aware, no one has held out the prospect of that. The issue which is concerning many people (and not just the stereotypic “asset rich oldies” who are supposed to down-size or get a reverse mortgage) is the pace of future increases – and there does, now, appear to be a clear choice for voters on that point. As the owner of a similar property in Perth compared to my property in Canberra, I did a comparison of the rates I pay in WA and here over the past 7 years. Perth started at a higher rate amount of around $100, and has increased by 52%. In comparison, my rates here have increased by 79% – much of which is due to property valuation, and is now $70 higher than Perth. I consider this to be much of a muchness. Now when it comes to water and sewerage rates, the Perth rates have increased by 28% compared to 9% in Canberra over the same time and are nearly $500 higher! This is offset in part to lower water consumption prices, Perth charges just $1.5860 per kL for the first 94 kL per annum, the next 350 kL at $2.114 and $2.993 above 444 kL. And guess what! Perth has an extensive rail system, the first two lines (Fremantle to Guildford and Perth to Armadale were built before the turn of the 19th century, when Perth was still a small town with much less population density than Canberra has today. But the people of Perth had greater foresight than the people of Canberra! The most recent rail building was from Perth all the way to Mandurah between 2004 and 2007. The real reason the government has such as progressive rate system is so inflation pushes us all to higher rates much faster than the inflation number itself – this is UNFAIR. Turning the Aussie dream of owning your own home (and your biggest asset) into a liability! This is in Un-Australian! Whats also UNFAIR is that existing homeowners, who paid the full rate of stamp duty on purchasing their property pre the ACT Labor/Greens new stamp duty/rates regime, will pay again & again for that stamp duty in the form of artificially higher Annual Rates. The ACT Govt has just increased Annual Rates on Units by 17% in one hit to even those up to stand alone dwellings (not sure if that applies to townhouses ?). Yes, Annual Rates on units and townhouses are less, but really not by that much. Plus there are absurdly high body corporate fees in Canberra – much higher than those which apply to many of the similar units/townhouses I have looked at outside of the ACT. Yes, I will pay less stamp duty under this new ACT Labor/Greens tax regime, but can I afford the Annual Rates and body corporate fees on a new, smaller place ? No. There are real estate agents fees and legal costs involved too. ACT rates are unfairly calculated based on a false assumption. I pay $4800 per annum for my little old 2 bedroom monocrete on 600 metre block way above even the most expensive average and 2.5 times the ACT average. Yet I earn only an average wage – Why should I have to pay so much more than my fair share – this is totally unfair. I disagree with Kim – the ACT progressive rates system is not fair – it does not take into consideration someone’s ability to pay more -like their income or the size of their mortgage. It will eventually force middle and low income earners out of central Canberra – ruining one of the aspects I love about Canberra which is the diverse range of people you get in each suburb! The real reason the government has such as progressive rate system is so inflation pushes us all to higher rates much faster than the inflation number itself – this is UNFAIR. Turning the Aussie dream of owning your own home (and your biggest asset) into a liability! This is in Un-Australian! Recent survey in Isabella Plains showed that the largest Rate increases in the last 25 years were in actual fact during the era of Kate Carnell’s LIBERAL government! Mark Parton; Andrew Wall et al hang your heads in shame! This man has been “terrorising” the good residents of Tuggeranong with his rhetoric. What a complete reversal; what self-interest; what a hypocrite! I’d be interested to get some more details on the case that the highest ever increase in Rates for Isabella Plains was during the Libs last reign with Kate Carnell. Must have been to cover the costs of painting Bruce Stadium grass green or one of her other shockers she inflicted on us. Knowing how the old rates system used to work, to beat the more recent large rates rises your property values in Isabella Plains must have jumped by over 20% in one year. Maybe it was 1999 when everyone was buying houses before the GST arrived in 2000, but it’s an interesting point you make. How high would the new model rate rises be in a booming Canberra real estate market and what affect would this have on working poor renters in Tuggeranong who would have these charges passed onto them by landlords? Would the removal of Stamp Duty mean that the ACT Government get’s less income during a Canberra house price boom then they would have previously? Meaning that regular rates payers in mortgage stressed areas are subsidising those who can afford to upgrade to a bigger and more expensive house in the Inner suburbs. The switch to remove Stamp Duty and replace it with higher annual Rates might be cleaner and more efficient from a Tax perspective, but I don’t think the ACT government properly thought through the ramifications when adopting an approach different to the rest of Australia and much of the world. It was always interesting that the groups who pushed hardest for ACT Labor to remove Stamp Duty were Property Developers, the Property Council and those with a vested interest in property related duties, negative gearing and taxes. The Tax change was not pushed by owner occupiers and renters, the people who ended up being the hit hardest by the change to the annual rates calculations. Of course, unless you plan to keep buying houses every 10 years (and most of us don’t), the ‘savings’ from stamp duty won’t amount to any saving at all. The Libs were right. We’re going to see tripled rates very soon. The ACT Government Table at the link below is probably the simplest example listing Rates Charge increases by area in Canberra. I have calculated % increases in a table below to give it more meaning (% change in brackets). With compounding percentages, if Rates have risen by 50% in just 5 years, then the original Liberal party claim that rates will Triple in 20 years was probably correct. Who did more than my 1 year of Stats at Uni to explain how compounding percentage growth projections will work???? Before the rises started, rates for my property were about $1500 while my latest rates bill is $2400. That’s a 60% increase and way over your supposed increase of only 6.6% p.a. There are other people I’ve talked to whose rates have increased even more than mine have, and from what I can tell my increases have probably been less than the average. 1. You’ve started with the 12/13 figures as the base year, but you should be using 11/12 as 12/13 was the first year to which the current process was applied, and the increase in that first year was significant. 2. Land value is not a constant figure, but tends to increase over time. For example the government tells me my block of land increased 9% from the last valuation to this one. For you to use a constant value of $350,000 across all years is significantly understating the level of increases. 3. Land values differ between cities, so you need to use the value of an average block in the different cities, not a constant valuation. 4. Hobart City Council is literally the inner part of Hobart, with other councils such as Glenorchy, Clarence, Brighton & Kingborough effectively forming part of greater Hobart. In comparing Hobart rates to ACT rates you should be looking at the rates levied in the inner city, ignoring Tuggers, Belco etc, or you need to somehow factor in the rates payable in the surrounding Tasmanian councils. Using some Allhomes stats for example, an average house in Yarralumla probably has rates of around $6000 p.a. while an average house in Lyneham might be around $2800. 5. Looking at the way Yass has structured their rates, the only way you came to the figure you’ve listed above for residential properties is to include council charges for water & sewerage, which in the ACT are an additional separate charge. I agree that the analysis should have started earlier, and the comparison to jurisdictions that include things like water and sewerage is incorrect. However, your claim that your rates have gone up by more than the base is entirely spurious. You are paying higher rates because you are now significantly wealthier (based on house price growth anyway). This opens up an interesting question: Would someone like yourself prefer to pay higher rates (because your property is worth more), or would you prefer if the ACT government directed the LDA to flood the market with new blocks to improve affordability, with the outcome that your property would be worth less and your rates would be lower? My guess is that you’re happier with your valuable property, even if you do whinge a bit about your rates! Well I’m pleased to hear that someone at least is seeing some benefit in increased value. Our rates have gone up every year, while our UV has been “redetermined” to be exactly what it was last year. And the year before that, the year before that, the year before that, and the year before that. Before then…I’d have to dig out paperwork. From $30 a week to $78 a week in a matter of a few years IS dramatic, thanks. And that’s without water rates! Wait until the ICRC has cranked up water rates (http://the-riotact.com/icrc-jumps-the-shark/184326) so much they will almost equal land rates. The rate rise model designed by Ted Quinlan was flawed from the start. It hit first time homeowners in outer suburbs and the working poor proportionally harder than asset rich inner city homeowners. While Turner, O’Connor, Forrest or Kingston residents rates might have increased by a higher percentage over the period, their asset is increasing way above the rates increase and the Government has focused extra rate money, infrastructure and services into their Inner Canberra suburbs . Thus creating a repeating cycle. I’m lucky like many others, I can afford the Rates rises, but it’s the working poor voters in the outer suburbs that Kim Huynh should be fighting for. I wish him all the best for the election and at least he raised the rates issue here. But he should not have incorrectly claimed that Canberra residents rates have only risen by 6.6% per year and also wrongly claimed that the current rates system is “giving less wealthy land owners” a fair go. The actual evidence suggests the opposite. Yep. Whats also UNFAIR is that existing homeowners, who paid the full rate of stamp duty on purchasing their property pre the ACT Labor/Greens new stamp duty/rates regime, will pay again & again for that stamp duty in the form of artificially higher Annual Rates. Its legalised theft. Some ning nongs on here have said previously, “just sell your home in the burbs, reduce your footprint, and downsize.” To what. Where. The ACT Govt has just increased Annual Rates on Units by 17% in one hit to even those up to stand alone dwellings (not sure if that applies to townhouses ?). Yes, Annual Rates on units and townhouses are less, but really not by that much. 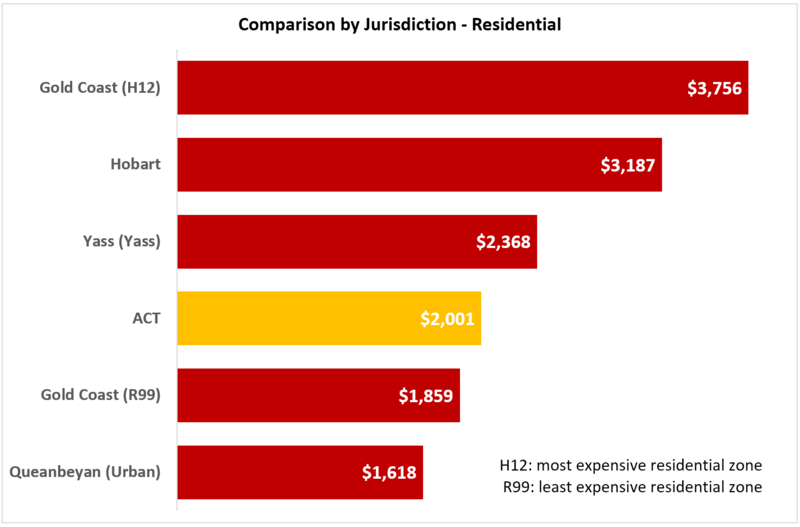 Plus there are absurdly high body corporate fees in Canberra – much higher than those which apply to many of the similar units/townhouses I have looked at outside of the ACT. Labor has committed to starting construction of Stage 2 before the next election and have run adds saying they will build the full tram network. The full cost of the network is estimated to be $14bn by a former executive director in ACT Treasury. ACT Labor have not even attempted to reveal estimated costs for Stage 2, so that’s the only figure out there for the full network. The ACT Auditor General has said the cost for Stage 1 is $1.78bn. The full network consists of 5 major stages plus some lesser routes that will probably add up to at least the cost of another stage if not two, so a very rough estimate of $1.78bn per stage x 6 stages gives 10.68bn, meaning that the $14bn estimate is plausible. Capital Metro says Stage 1 has a cost benefit ratio of 1.2, with 0.5 in transport benefits and 0.7 in wider economic benefits. The ACT Auditor General has said the wider economic benefits are doubtful and much, much higher than is normally the case for light rail projects, suggesting the real ratio may be less than 1.0, a net loss for the people of the ACT. Canberra Times FOI request to the ACT Government revealed that in 2013 the ACT public service was saying the cost benefit was 1.02, but could be higher if extra benefits were estimated, but considering the Auditor General’s findings, 1.02 may well be pretty close. That same ACT Government document declared that BRT for the same route had a value of 1.98, or just about double light rail, and it still provided 93% of the benefits of light rail. When looking at the fanciful wider benefits, BRT was still more than double the value of light rail. The ACT Government’s submission to Infrastructure Australia said that BRT had a much higher value than Light Rail, which is one of the reasons federal funding was not provided for the project then. I think the ACT government’s figures from 2013 are probably fair to use, as they were never meant for publication. Let’s assume that Stage 1 is an average route, even though its logical that it should be the most viable route, as that’s what should be built first. So if we take $14bn x 1.02 we get total benefits to the ACT of $14.28bn. Now BRT could only provide $13.28bn in benefits, but would only cost $6.7bn, meaning there’s $7.3bn left over, or call it $7bn after cancellation fees. That’s your magic pudding right there. Over the next 20 years a Liberal Government could spend $350m more than Labor on other initiatives every year, and still leave the government in the same financial position. Given how Liberals think, some portion of those savings will go into tax cuts, like the already announced suspension of the LVC in town centres so as to prompt more development and abandoning Labor’s Rates increases so as to ease cost of living pressures. I’m hoping some would also go into debt reduction. I’ve read that good public infrastructure projects normally have a cost benefit of at least 2.0, and the Majura Parkway for example had a ratio of 3.0. Taking the 2.0 figure and applying it to the extra $7bn, assuming the Liberals were spending all of it, means that an additional $14bn of benefits could accrue to the ACT in addition to $13.28bn for BRT, or a total of $27.28bn in benefits compared to Labor’s $14.28bn. Given such figures you may well ask why Labor and the Greens are so firmly wedded to light rail, as I have done every time I’ve looked at it, and as every voter should before they vote. The ACT Libs havent said that Rates will be “lower”. Rather, that the rate of increase will be lower (capped to CPI or something I think). It might have been for a few years until they can get to the bottom of the ACTs finances. They havent said that that will be funded by “savings” from the tram. No one expects that Annual Rates wont rise – its just by how much.